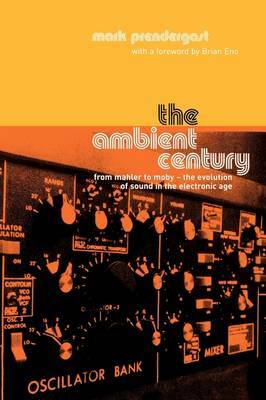 THE AMBIENT CENTURY passionately reveals the drift in twentieth-century music from composers to non-musicians, from strict rules to no rules and from the single note to the sample. From the expanding classical horizons of Mahler, Satie and Debussy to the revolutions in electronic music inaugurated by Stockhausen and Cage; from the Indian-influenced minimalism of Phillip Glass and terry riley to the 'unlocking' sound worlds of Brian Eno and Arvo part; through the epoch-defining music of rock maestros The Beatles and Jimi Hendrix to the pure electronic creations of Kraftwerk, Goldie and Trance - this drift through technology, Minimalism, the rock era and Techno is earthed by the development in Ambient Sound, to the author the most important breakthrough in music of the past one hundred years. Aided by electronics, new ideas and mass consumption, Ambient has established itself beyond question as the 'classical music of the future'.